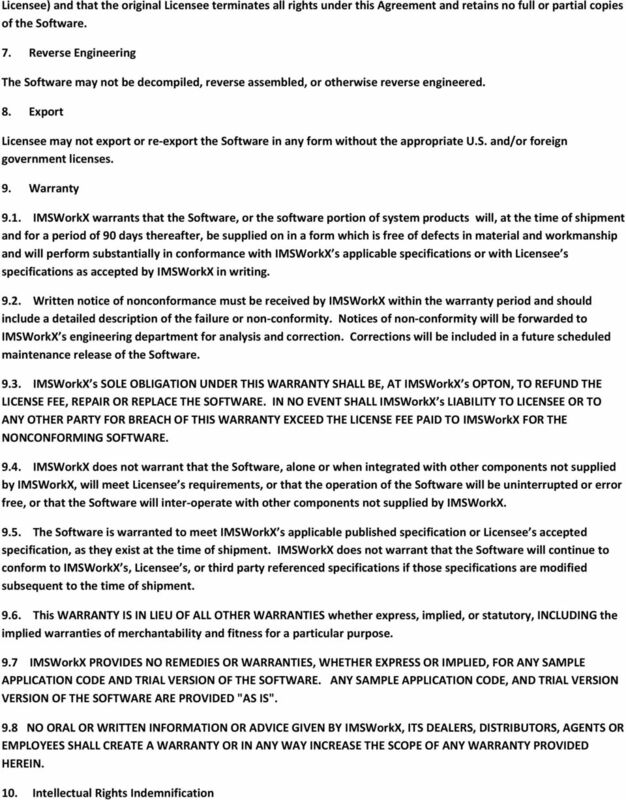 Download "End-User Software License Agreement"
5 13.1. The license granted under this Agreement does not entitle the Licensee to updates, upgrades or enhancements of the Software. IMSWorkX reserves the right to require an additional license and fee for updates, upgrades, or enhancements or for use of the Software on other platforms Software releases provided by IMSWorkX to Licensee to correct non-conformities may contain updates, upgrades, and enhancements in addition to the corrected Software. Licensee may not activate or use such updates, upgrades, or enhancements unless specifically authorized to do so under additional license. 14. General Any changes in the terms and conditions contained herein must specifically be agreed to in writing by authorized representative of both parties before becoming binding on either party If any provision of this Agreement is held to be unenforceable, the enforceability of the remaining provisions shall in no way be affected or impaired IMSWorkX s failure to exercise any of its rights under this Agreement shall not constitute a waiver or forfeiture of such rights This Agreement, along with any exhibits or schedules thereto, supersedes all prior agreements and understandings, oral or written, between IMSWorkX and Licensee and is intended as the complete and exclusive statement of this Agreement The prevailing party in any action or proceeding brought in connection with a breach of this Agreement will be entitled to reimbursement by the other party for reasonable costs and reasonable attorney s fees Any controversy or claim arising out of or relating to the Agreement or the breach thereof shall be settled in accordance with the Commercial Arbitration Rules of the American Arbitration Association. The location of such arbitration proceedings shall be Rochester, New York, USA for actions brought by the Licensee or, for actions initiated by IMSWorkX, a U.S. city specified by the Licensee. Judgment upon the award rendered by the arbitrator(s) may be entered in any court having jurisdiction thereof This Agreement will be governed by and construed in accordance with the laws of the State of New York, USA, without regard to the conflict of laws principles thereof This Agreement does not allow or endorse the use of this product in any manner that violates local, government or international law. This product may not be used for illegal purposes. 15. 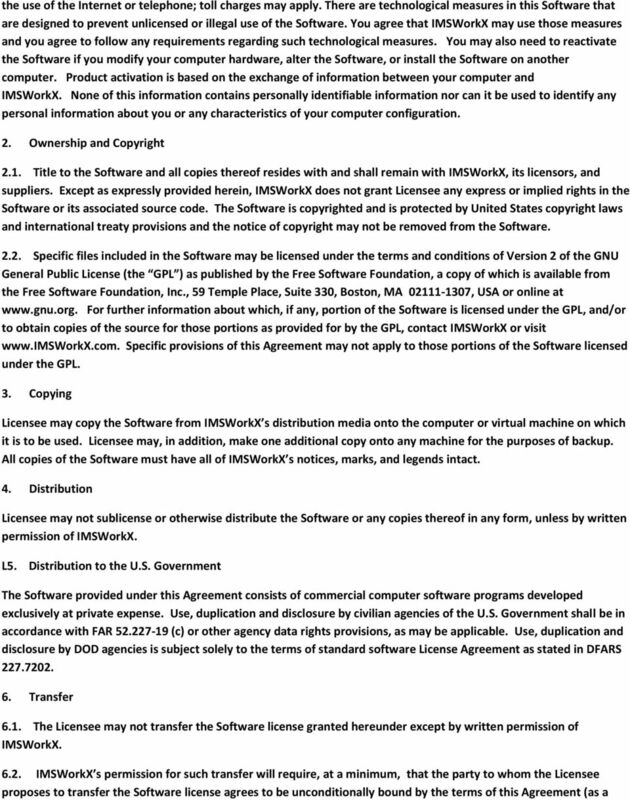 IMSWorkX and other trademarks contained in the Software are trademarks or registered trademarks of IMSWorkX, Inc. in the United States and/or other countries. Third party trademarks, trade names, product names and logos may be the trademarks or registered trademarks of their respective owners. You may not remove or alter any trademark, trade names, product names, logo, copyright or other proprietary notices, legends, symbols or labels in the Software. 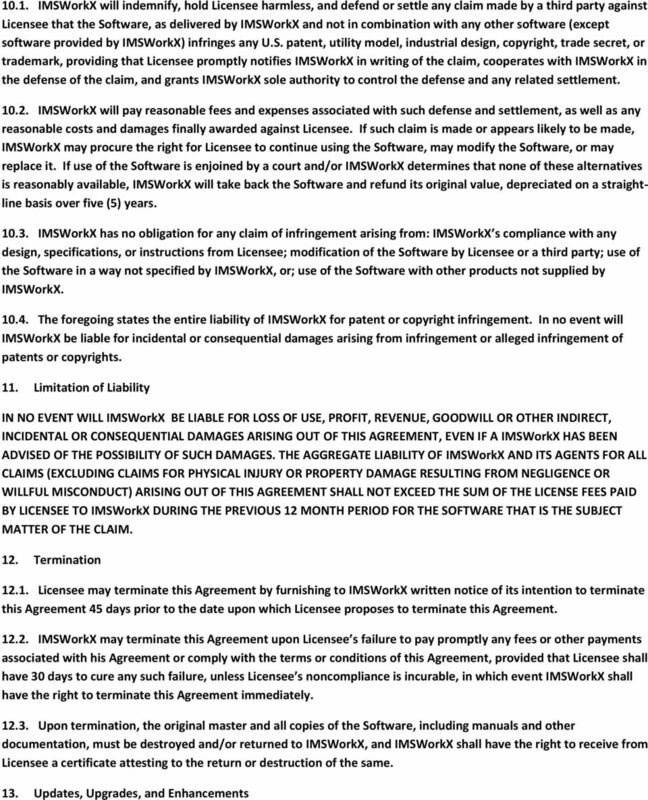 This Agreement does not authorize you to use IMSWorkX 's or its licensors' names or any of their respective trademarks. ELLIPTICS, LTD. TERMS OF SERVICE. For Elliptics branded products: Webcrossing Core, Webcrossing Community, Webcrossing Neighbors 1. ZENworks Patch Management. 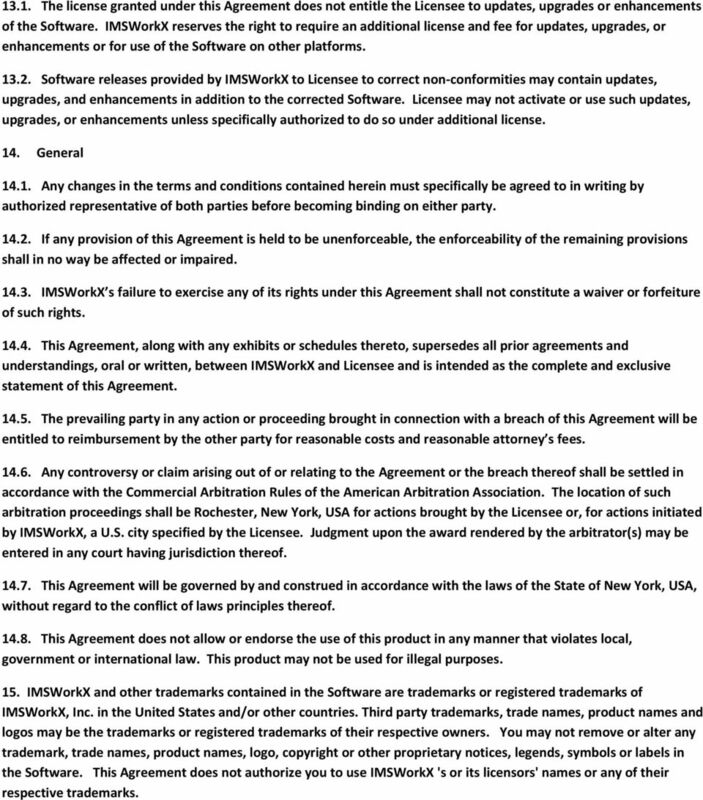 Your license to use ZENworks Patch Management is also subject to the terms and conditions in the attached Appendix. "You" and "Your" refers to any person or entity that acquires or uses the Software or Documentation. 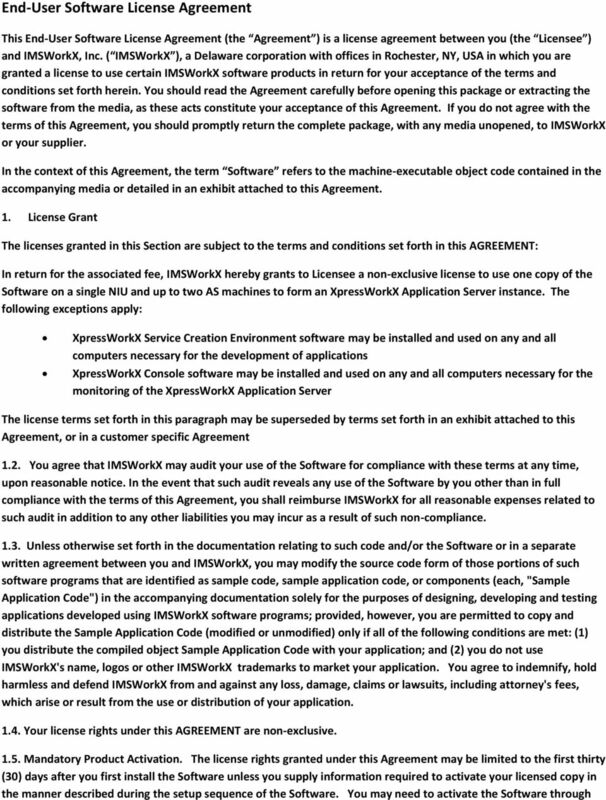 PLEASE CAREFULLY READ AND REVIEW THIS AGREEMENT BEFORE YOU USE MONTIER SOFTWARE MonTier End User License Agreement (the Agreement ) This Agreement is a legal agreement between MonTier Software (2015) Ltd.
purchased and is using the Products including the online classroom ("Customer" or "You") and the individuals accessing the Products ("End Users").